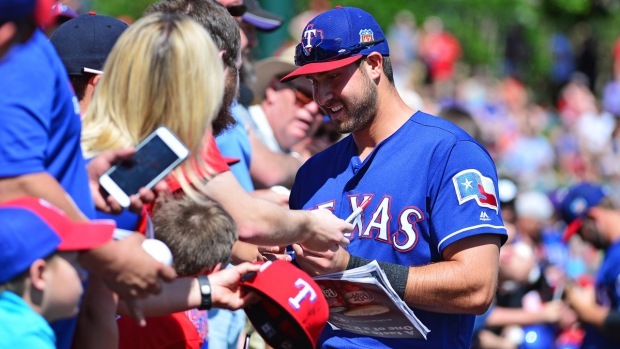 If you read a Texas Rangers story today, it should be this one. The Dallas Morning News' Gerry Fraley takes us on a little trip down memory lane and recounts how Shin-Soo Choo, the $130 million man, went from an .096 batting average in April to a highly paid disappointment on the verge of being nothing more than a platoon option in right field and finally to arguably the biggest savior of the Rangers' season in their late push to catch the Astros and win the AL West in the season's final weeks. In case you've already forgotten, Choo caught fire after the all-star break and was named AL Player of the Month in September after he hit .387 with a 1.113 OPS in September and the first few days of October. Quite simply, he was one of the best players in baseball. Now, Choo and the Rangers hope he can duplicate what he did in that late stretch in 2015 early in 2016 so he can avoid the awful start he had last season. 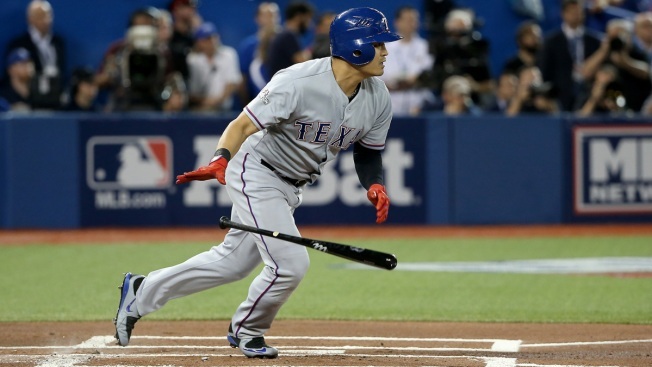 "I feel like I can continue what I did," said Choo, who went 2 for 2 with a pair of singles in an exhibition game against San Francisco on Monday, to the Dallas Morning News. "I got down last year, and I know what I did to come back. Knowing those kinds of things can help me now. "If I have a bad week or month now, I'm not going to say 'What's happening?' I know what I can do. I have much more confidence in what I can do now." One day shortly after the all-star break, as Fraley writes, Jeff Banister had been toying with the idea of platooning Choo but went with him in right field in a game in Colorado. The result? Choo hit for the cycle in a Rangers win. From that point in late July, Choo hit .339 with a 1.014 OPS. "I appreciate what Banny did for me," Choo told the Morning News. "It's like he says, `Never, ever quit.' He didn't quit on me. "How many managers would have given me as many opportunities as Banny did? I really appreciate that he trusted me." Now, Choo hopes to pay back Banister's loyalty in spades.